We are the original meaning makers. Sharing ancient wisdom. Interpreting into modern design. Alive with purpose. Strong and unafraid to speak. Leading the narrative. Carrying light. Impacting communities. EMPOWERING THE WORLD. We create meaningful, eco-conscious jewelry and accessories to positively empower and connect humanity. We share a passion for the wellbeing of our planet, our communities, and our individual paths. ALEX AND ANI products are infused with positive energy. Ancients referred to this precious energy as “chi” and “prana,” whereas modern science refers to it as vital force. It is the natural energy that supports life. 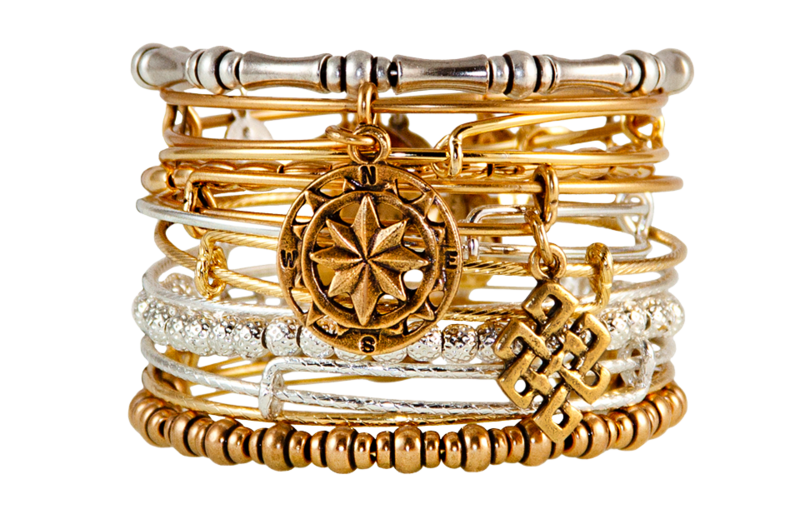 How Does ALEX AND ANI Utilize The Power Of Positive Energy? We embrace the power of positive energy as our core company belief. Each product is infused with positive energy in three important ways. First, the products themselves are manufactured (and infused) with positive intention in carefully selected American factories. Second, the symbols featured in our designs carry their own energy and are accompanied by thoughtfully crafted and meticulously researched meaning. Last, each design is positively intended to empower the wearer and reflect the unique qualities of the individual. Some pieces carry sentimental meaning; others are talismans of protection, power, or intention. The beauty of each collection is that you are the designer. Mixing symbolic pieces with your own alchemy makes ALEX AND ANI completely and uniquely yours.